Campania was (and is) a region in southern Italy. It was colonised by Ancient Greeks and was part of Magna Græcia. During Roman times it maintained a Greco-Roman culture. The capital city was Neapolis. 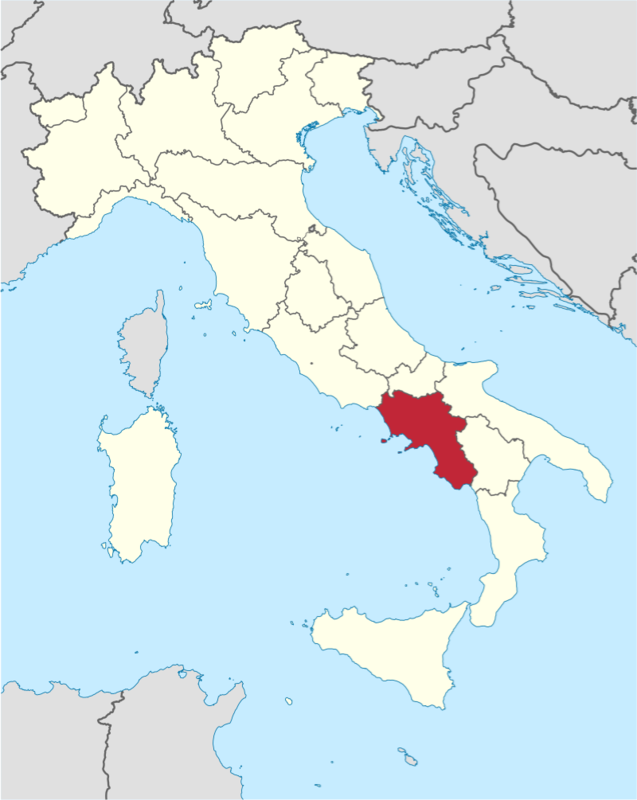 The original inhabitants of Campania were three defined groups of the Ancient peoples of Italy, who all spoke the Oscan language, which is part of the Italic family; their names were the Osci, the Aurunci and the Ausones. Another Oscan tribe, the Samnites, moved down from central Italy into Campania and conquered it. Obverse: Laureate head of Italia left; VITELIV ( = ITALIA) retrograde in Oscan script behind. Reverse: Soldier standing facing, head right, left foot on lorica, holding inverted spear in right hand and sword in left; to right, recumbent bull facing, head right; I in exergue. Ref: Campana group 9b, 141 (D97/R118).